Saido Berahino’s move to the BET365 in January has been surrounded by a number of controversies ever since the end of the deadline day. The 23-year old has been at the Hawthorns since 2010, spending a few years out on loan. He established himself in the first team at the club a couple of years ago but he missed a trick in the previous season and completely lost the trust of the manager at the end of the campaign. He was linked with an exit in the summer but West Brom only managed to offload him in January but his move, even this late, has just not been away from controversy. Reports from the Daily Mail earlier this month revealed that the player was suspended for 8 weeks by the FA earlier this season after testing positive for a recreational drug in an out-of-competition test. Stoke City midfielder Charlie Adam picked on the Baggies and felt that it was their opponent at the weekend that leaked the news of the ban and this has seen sparks fly between the two managers. Mark Hughes and Tony Pulis, who went face to face in a game that ended in a 1-0 victory for the Baggies, were seen refusing to shake hands before or after the game and the Potters’ manager seems to have a few reasons for the snub. Speaking to the media recently, Mark Hughes accused Tony Pulis of calling Ryan Shawcross a ‘loser’ after the game at the weekend. 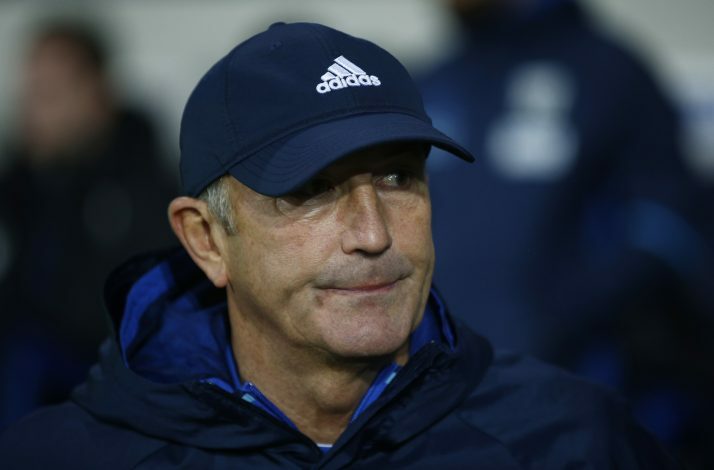 Hughes claims the Pulis left the player a voicemail calling him a loser, hitting back at Adam’s accusation that Albion had leaked news of their ex-striker Berahino’s drug ban following his January move to Stoke. “We were annoyed with a number of things about that. “There was a voicemail left, and I haven’t heard it. Ryan wasn’t too pleased about it and tried to call back. But he didn’t get any answer. “That’s what the situation is as we sit here,” he added. Tony Pulis has a decent relationship with Shawcross in his time at the Britannia in the past but he must know better not to intimidate the skipper of a rival club.